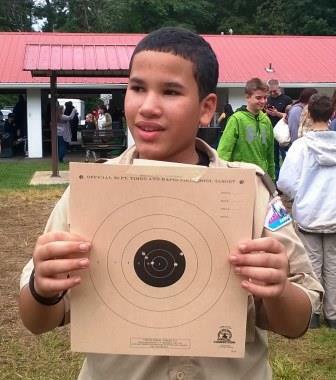 "Give your son the valuable gift of Scouting. The time you invest in him today will make a difference in the person he becomes tomorrow." 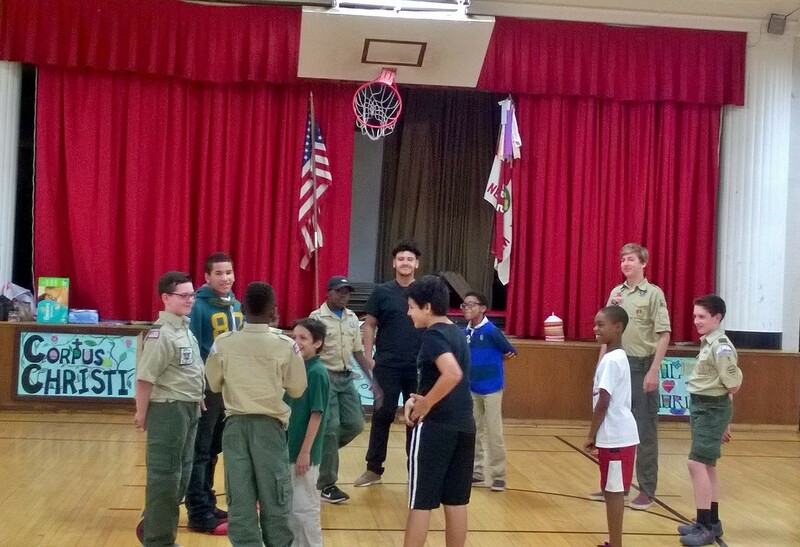 What's New @ Troop 5? Next meeting is Monday, April 29th, 6-7:30pm - No school = no meeting April 22. New scouts are welcome to join tonight. 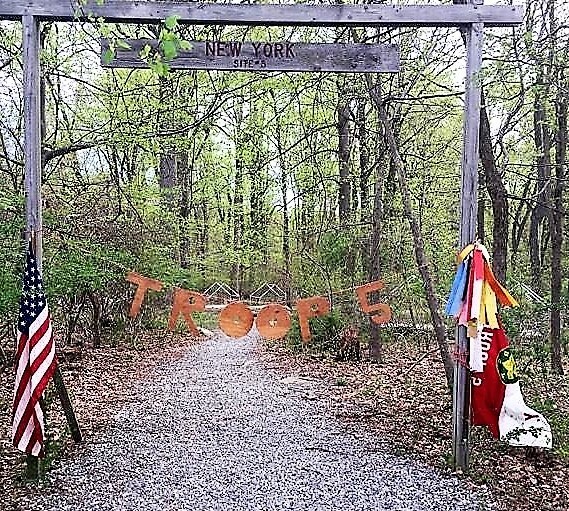 Troop 5 camps in tents every month. 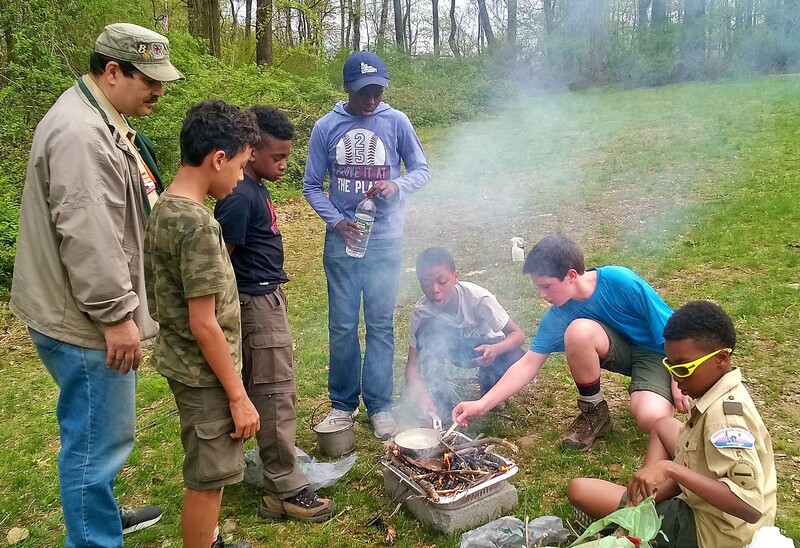 Our next campout is May 3-5 "encampment" (see troop calendar). 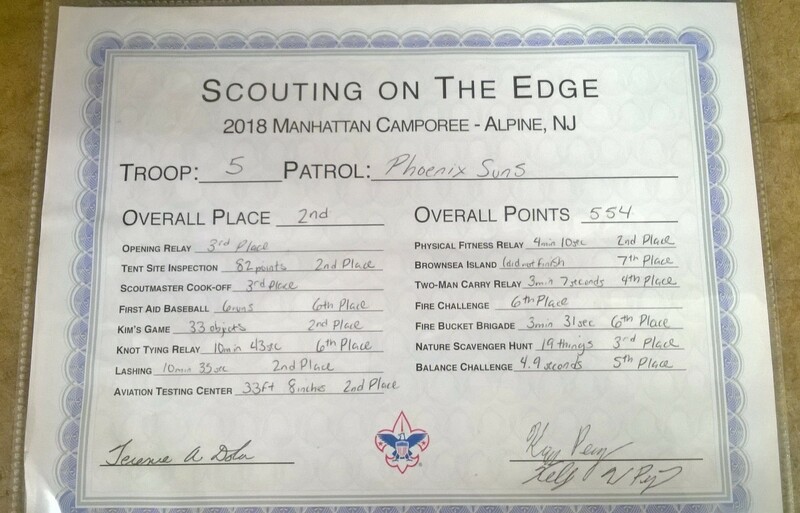 Troop 5 earnes 6th place at the Big Apple Camporee, April 12-13, and survives another wet night before enjoying a beautiful Saturday of events including the SNAKEMAN and a helicopter visit. 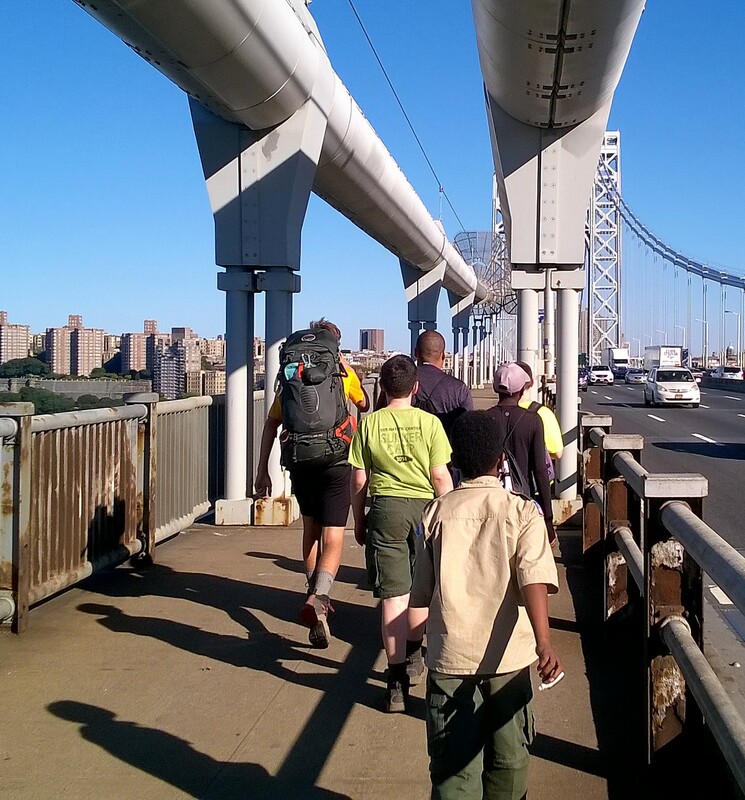 Colin, Graycen, Fitz, and ASM Prophete joined 32 others April 6th for the Urban Diversity Hike in memory of Troop 5's Jamil Ahmed. Thank you Willie from Nyack Ambulance for the CPR training and ambulance tour as part of our March 15-16 campout - football. chocolate chip pancakes, "spoons" & "murder", and a flash thunderstorm made our campout at Alpine memorable!!! 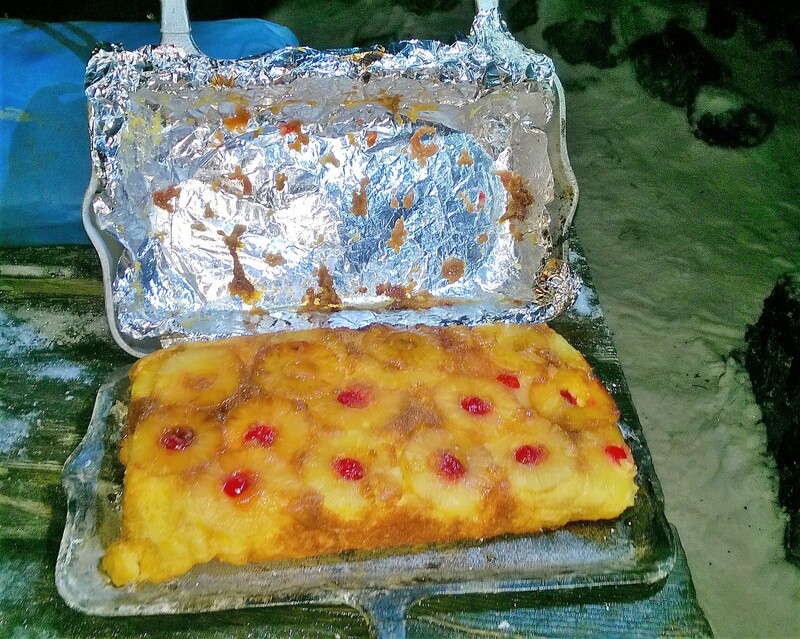 Fun, icy, muddy, and quick campout at Alpine, February 22-23, with tacos by the Elite Eagle Patrol, noodles by the Arctic Fox Patrol, and a Scoutmaster surprise for lunch!!! 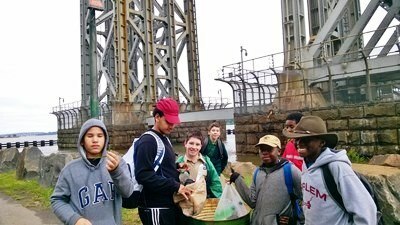 Good job collecting litter as our service project this month Harlem Troop 5. 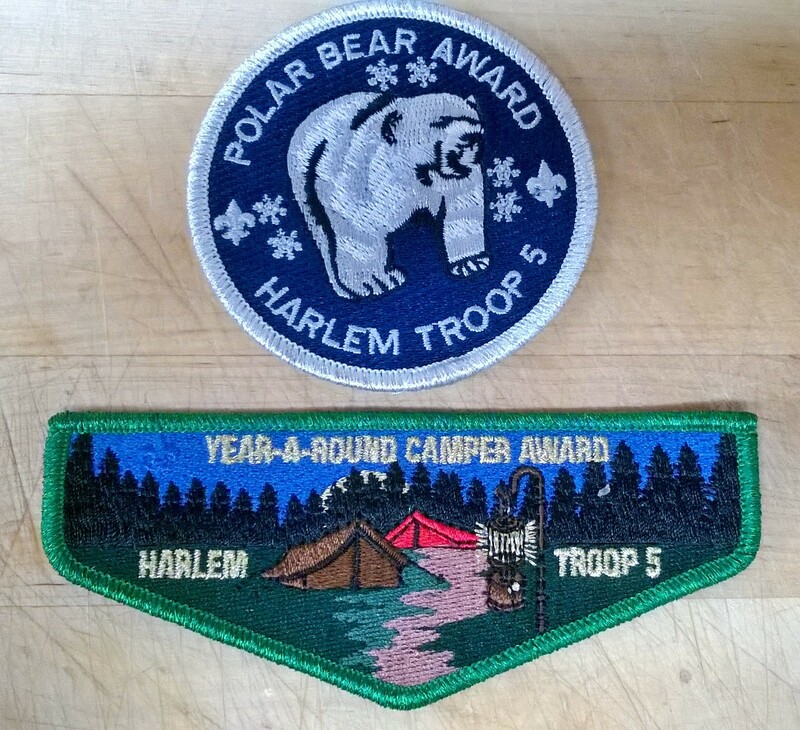 Congratulations Jordan - the 2018 Harlem Troop 5 "Scout of the Year"
Harlem Troop 5 awarded 21 merit badges, 2 ranks, and 7 Polar Bear Awards at the monthly Court of Honor February 4th!!! Thank you Jason Toledano, our District Executive, for presenting "Summer Camp 2019". 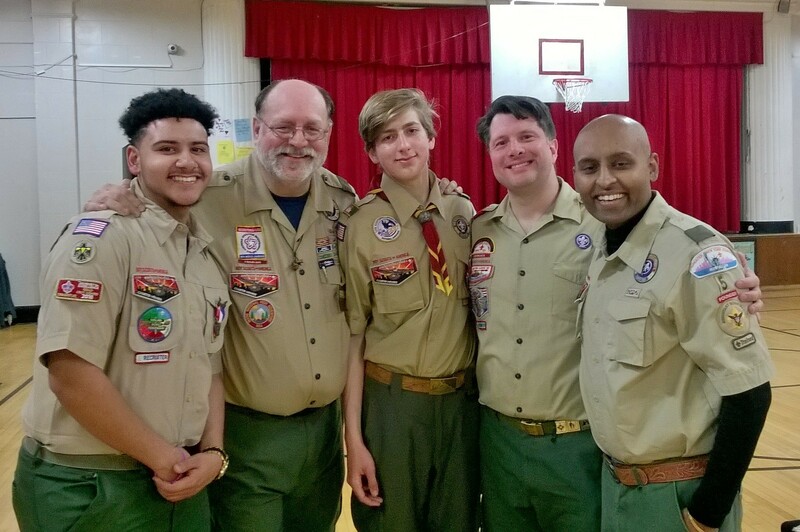 Saturday, January 26th was a memorable evening for Harlem Troop 5 as we celebrated the life of Eagle Scout Jamil Ahmed. Over 100 family and friends gathered in the Corpus Christi Gym where displays, slides, speakers, an abundance of food, and fabulous fellowship celebrated the impact that Jamil had on so many from such diverse communities. 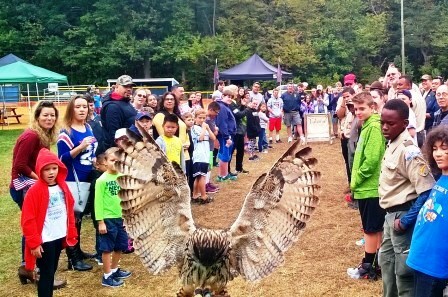 Thank you all for coming and contributing to our memories of one who lived and now soars with the Eagles!!! 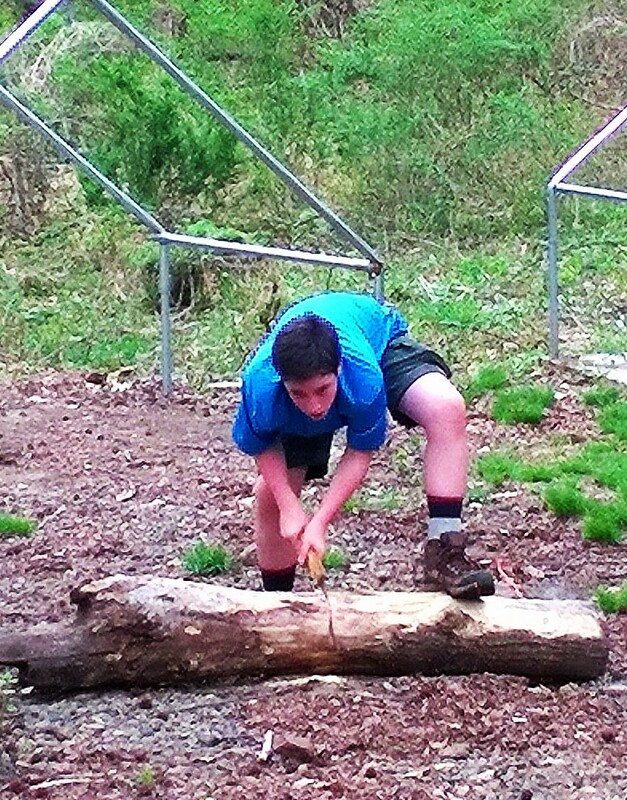 Fabulous Blizzard Adventure 3-night campout, January 18-21, at Scout Camp Kingsley, just north of Rome, NY. 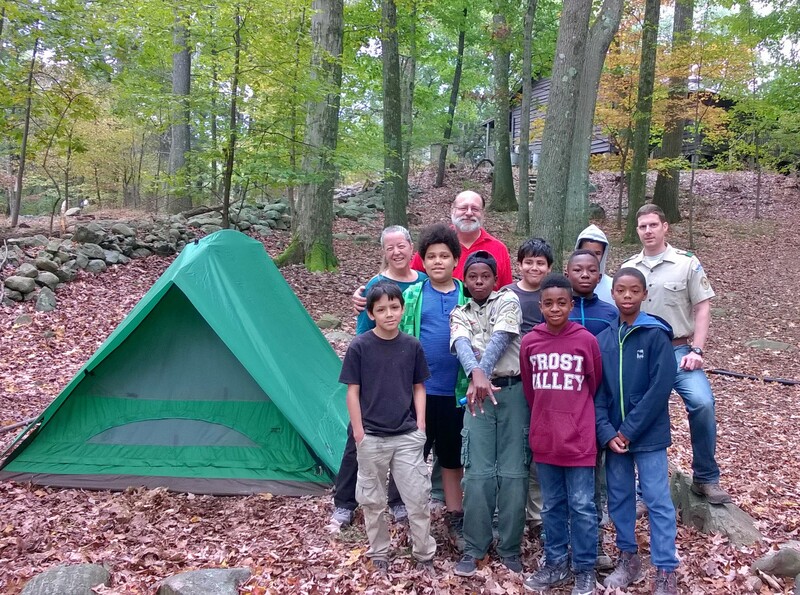 7 scouts and 2 adults from Troops 5 and 61 joined 100+ others in winter sports, merit badge sessions, and, and, and... Our troops were the only ones tent camping!!! Waking-up to 6 degree temps on Saturday morning meant all qualified for the Polar Bear Award. A new foot of snow greeted us Sunday morning. We moved inside Sunday night as temps dipped to -12 and wind chills to -30. 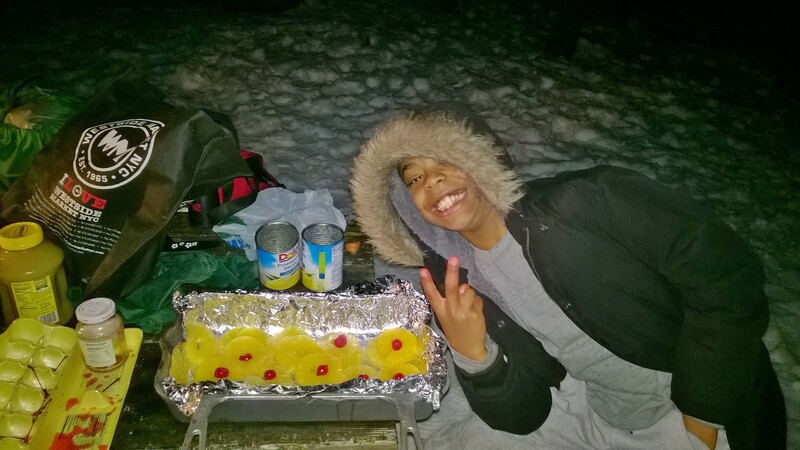 Our scouts completed 12 merit badges, Jordan won the "ugly sweater" competition, and our chili took second place!!! 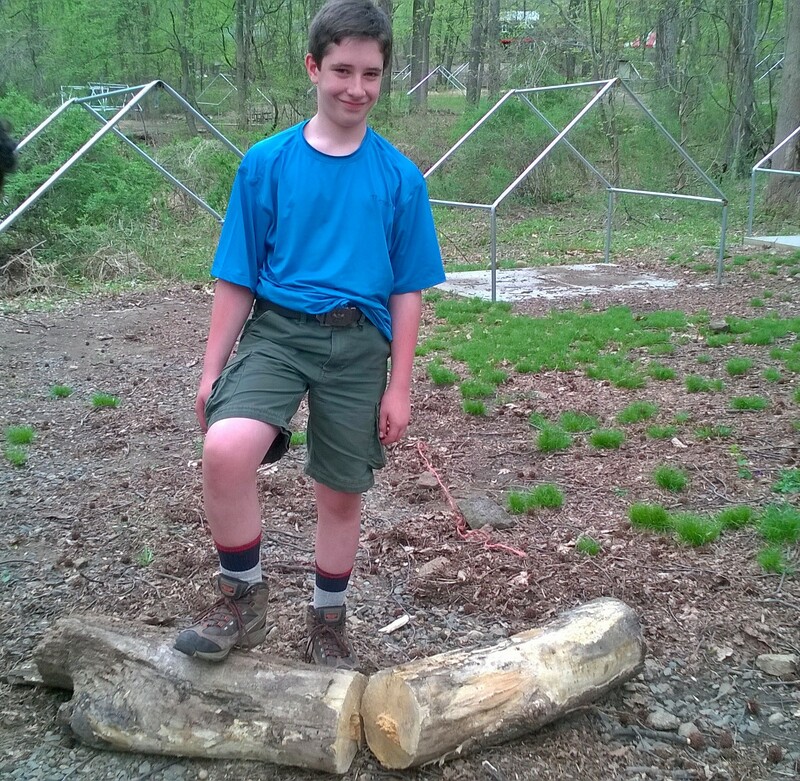 Congratulations Nathan on completing the Scout Badge rank AND Aydan for completing Tenderfoot on January 14th. 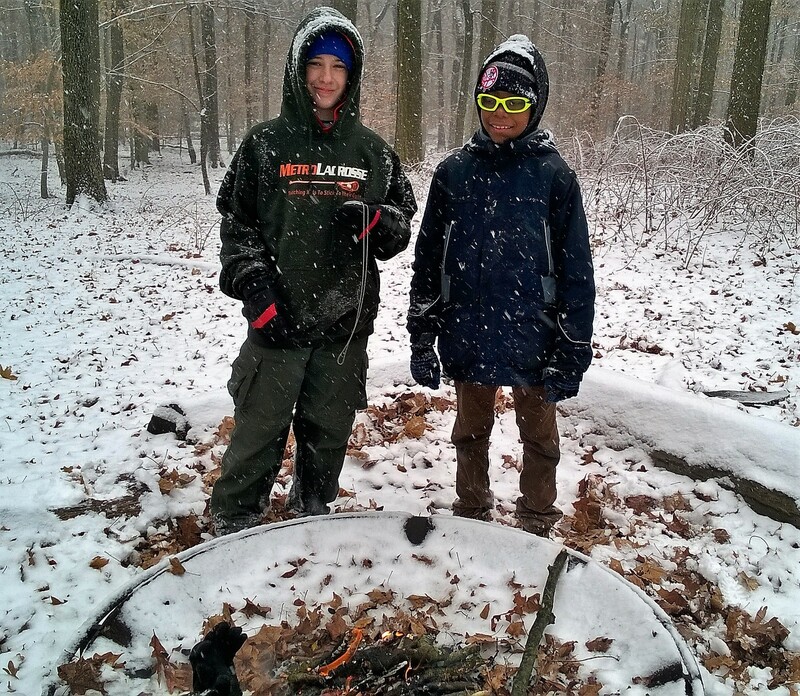 Fitz and Jordan attended Winter Camp @ Alpine, December 27-29, and earned 6 merit badges! 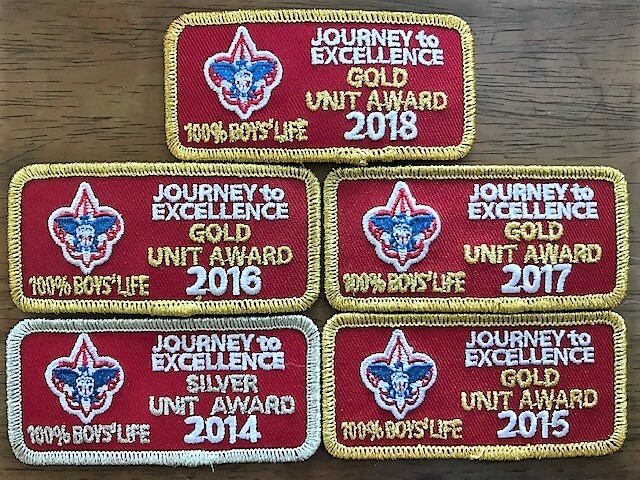 Huge Court of Honor on December 17th with each Scout and Scouter receiving the 2018 GOLD Journey to Excellence Award. 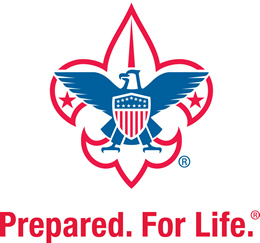 Thank you Bobby Wallace, our Unit Commissioner, for sharing a "Scoutmaster's Minute" with us on "being prepared". Thank you Father Dan for your kind words in receiving the 2018-2019 charter. 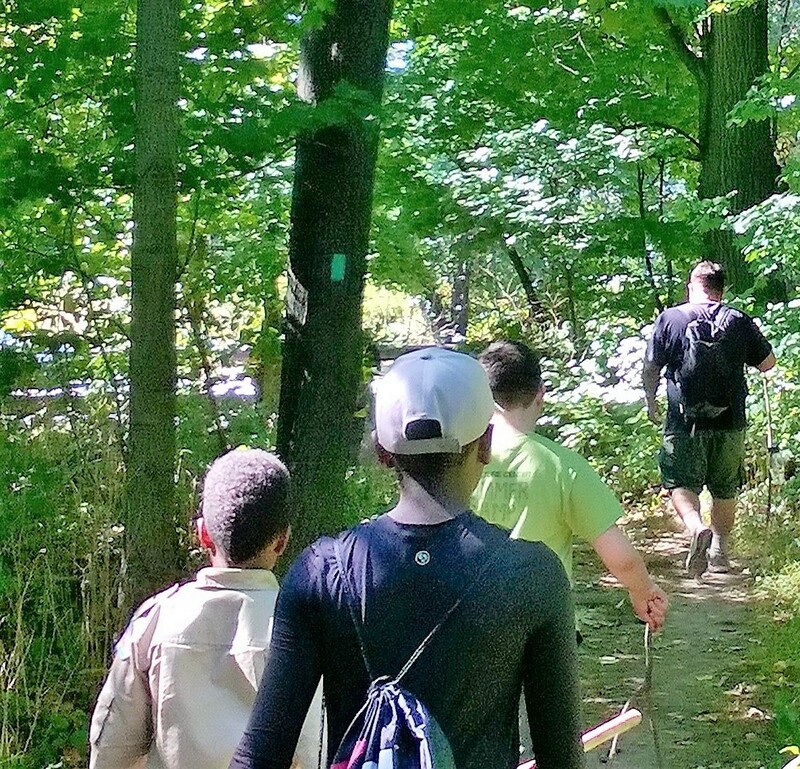 Congratulations Carl on completing the Scout Badge rank AND Ayman for completing Tenderfoot on December 17th. Cyber Chip Awards were earned by Carl, Colin, Finn, Fitz, Gabriel, Graycen, and Jordan. Totin' Chip was earned by Colin, Fitz, Gabriel, Graycen, Jordan, Josiah, Nathan, and Tyler. Congratulations Ayman (Night Owls), Ayden (Arctic Foxes), and Graycen (Elite Eagles) on your appointments and inductions as Assistant Patrol Leader. Congratulations Finn, Gabriel, and Graycen on completing the Scout Badge rank AND Fitz for completing Second Class on December 3rd. Our November/December campout at Camp Durland, November 30-December 2, was memorable with chocolate chip cookie s'mores by the Night Owl Patrol on Friday, outstanding chili from scratch by the Arctic Fox & Elite Eagle Patrol on Saturday, and a 3am rendition of "Rain Rain Go Away" that obviously did not change the weather on Sunday!!! Great fun as the top Harlem Troop 5 Hike-a-Thon fundraisers attended the Globetrotters game at Madison Square Garden on November 23. Congratulations ASM Smith and ASM Altareb on completing the indoor Leader Training on November 17th. 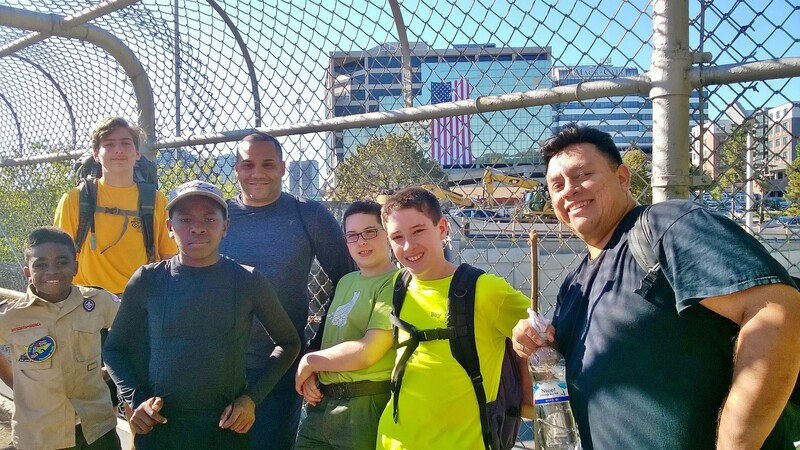 Congratulations Giovanni - the top 2018 Hike-a-Thoner!!! Fitz, Graycen, and Tyler received the Harlem Troop 5 neckerchief which can only be earned through troop fundraisers. 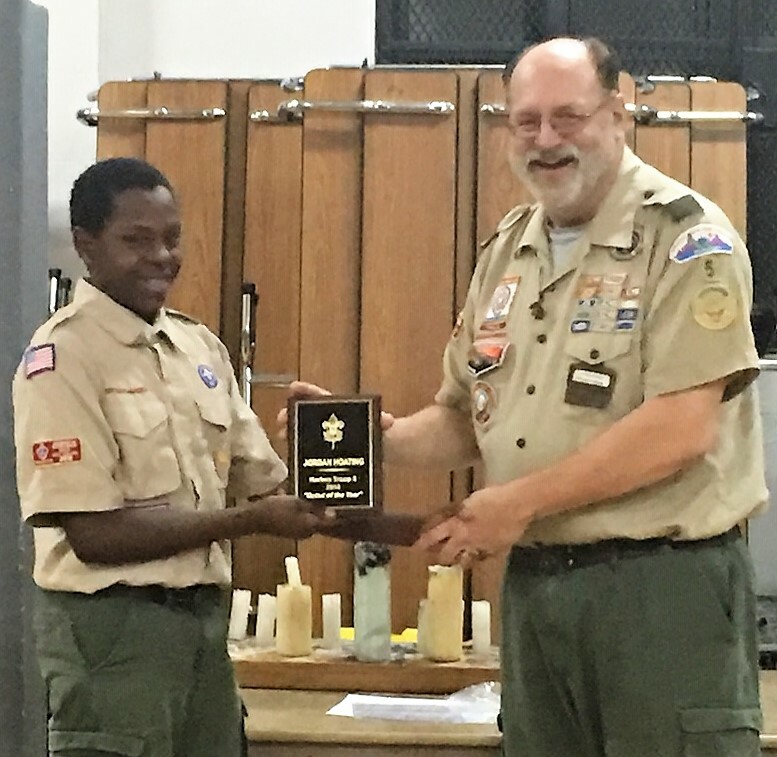 PL Colin represented Troop 5 well as the only troop member to attend the annual Catholic Scout Retreat, Nov. 2-4 at Alpine Scout Camp. Colin was singled out for his attention to others' needs and especially for his care of the retreat organizers' children who are now BFA's!!! Congratulations Jordan and Fitz for completing the "Moviemaking" merit badge at Alpine on November 3. Congratulations TG Sean on passing the Board of Review for the rank of Star on October 15th. Thank you Luis Feliciano, Big Apple District Commissioner, for helping with the BOR. 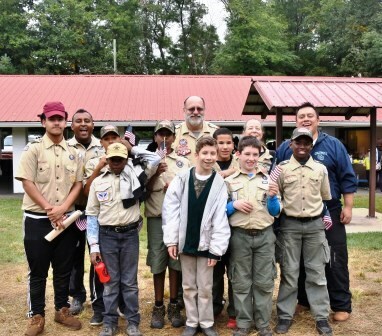 PLC evaluated the camporee, set standards for cursing, and enjoyed a training on "respect" by JASM, James, on October 15. 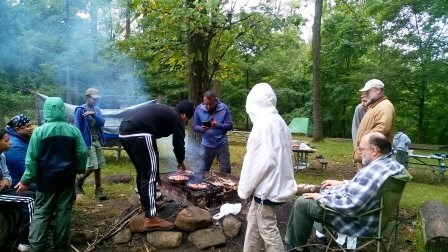 "Iron Chef" Camporee, October 12-13 at Camp Bullowa, Stony Point, NY, was the first time Troop 5 camped as 3 patrols since first chartering in 1988!!! 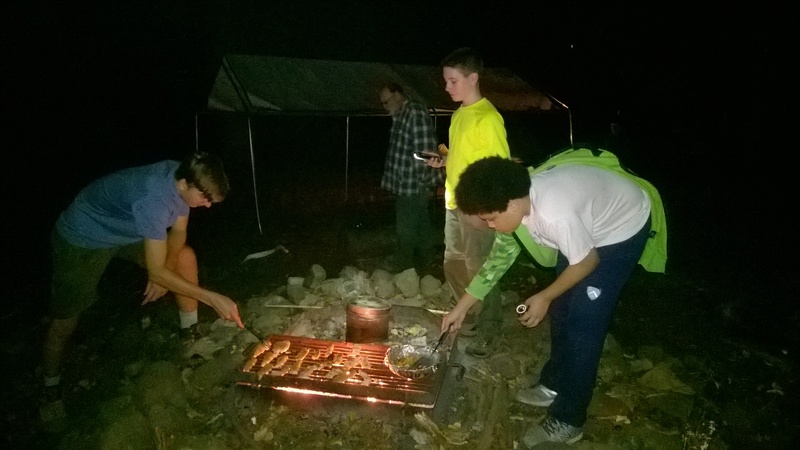 Troop 5 added value by competing in both the pumpkin carving and cooking competitions, providing the "Menu Planning" program station, and recruiting a Revolutionary War reenactor who told ghost stories at the Saturday evening camporee campfire!!! Congratulations Colin (Night Owls), Fitz (Arctic Foxes), and Noah (Elite Eagles) on your election as Patrol Leader October 1. NOTE: old "news" items are archived under the "ABOUT US" tab on this website!!! 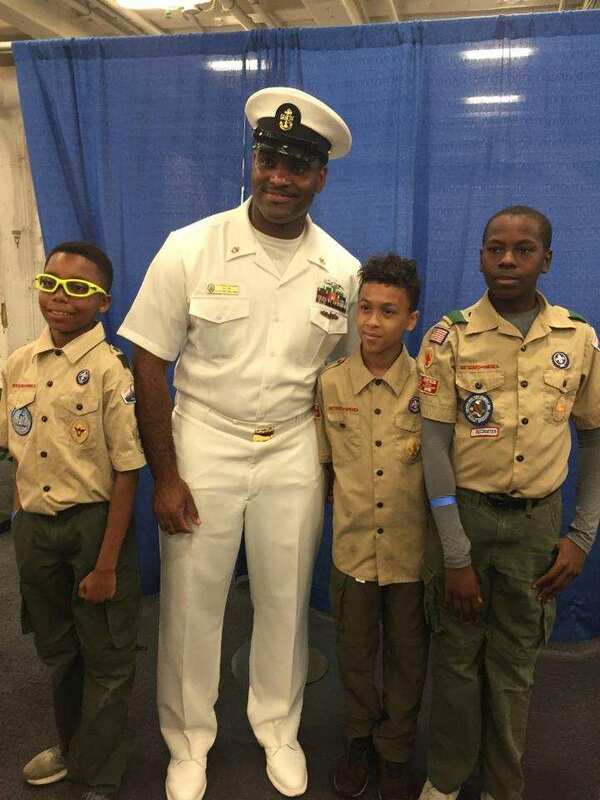 "It is the mission of the Boy Scouts of America to serve others by helping to instill values in young people and, in other ways, to prepare them to make ethical choices during their lifetime in achieving their full potential. 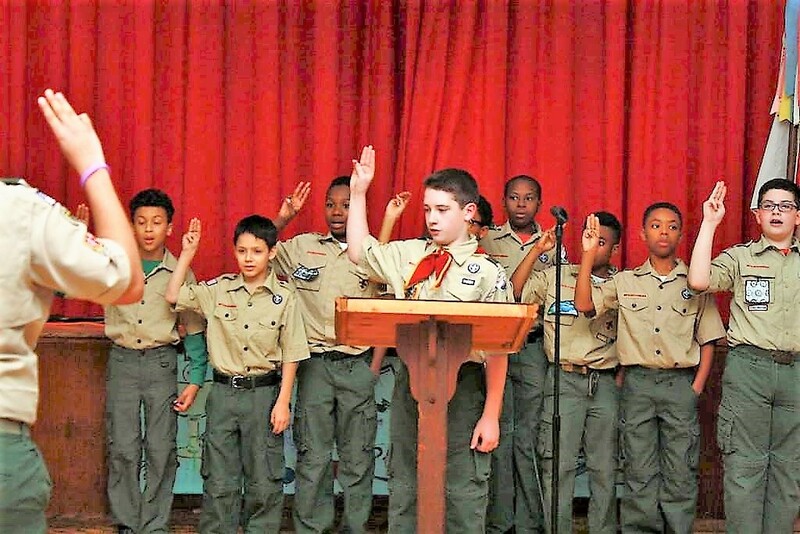 The values we strive to instill are based on those found in the Scout Oath and Law."